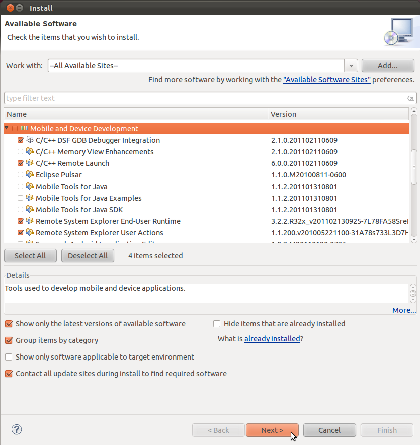 You can run and debug BeagleBoard programs using remote debugging on a development PC that is in the same local network as the BeagleBoard. 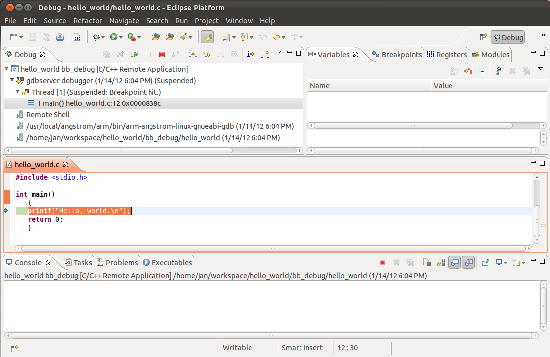 This tutorial assumes you have installed Eclipse and the C/C++ Development Tools and you have created the example project hello_world with a debug configuration. 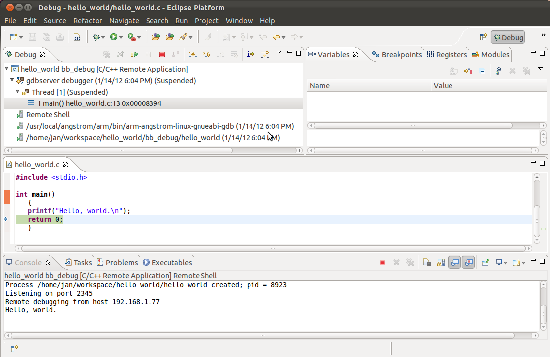 Debugging tip: on multiple occasions, I was able to fix problems or remove an Eclipse error message by clicking Project -> Clean or sometimes by exiting Eclipse and running eclipse -clean. Run Eclipse and select Help -> Install New Software. In the Work with window, select All Available Sites. 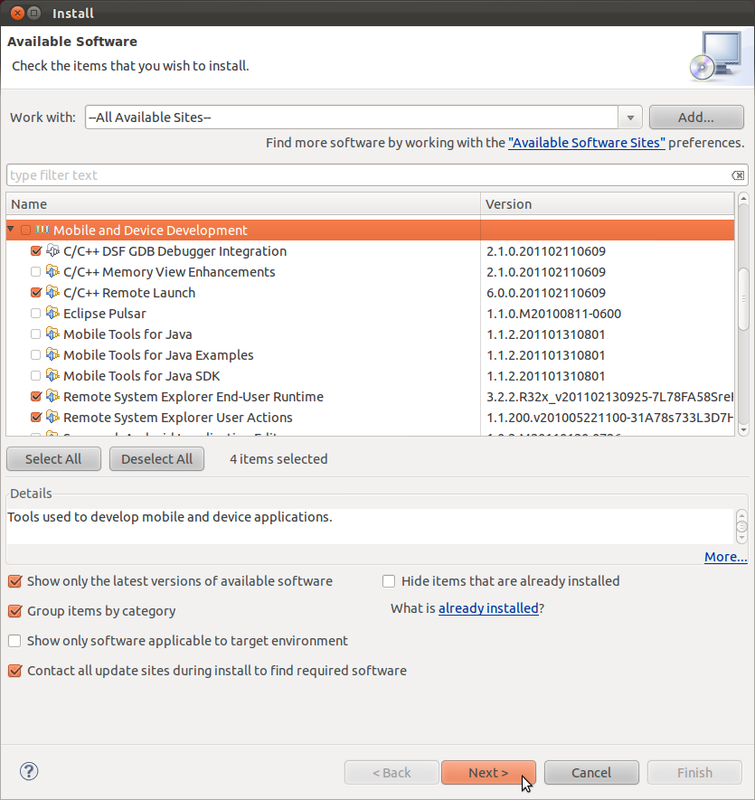 Click Next, and view the Install Details, which tells you if any of the selected items are already present. 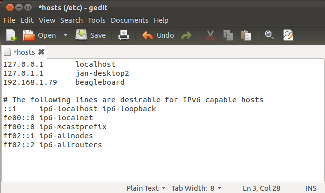 Add the IP address to the /etc/hosts file. Click Save and close gedit. Press Ctrl+C to quit the ping command. 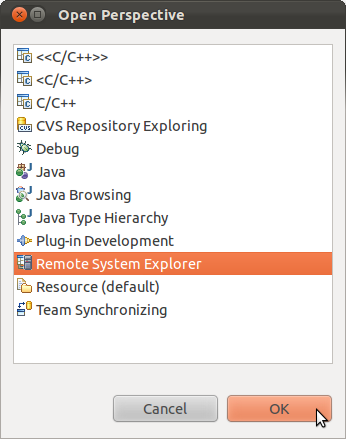 To set up a project for remote debugging, you need to create a connection and configure a Debug Configuration. Select Remote System Explorer and click OK.
Click File -> New -> Other. 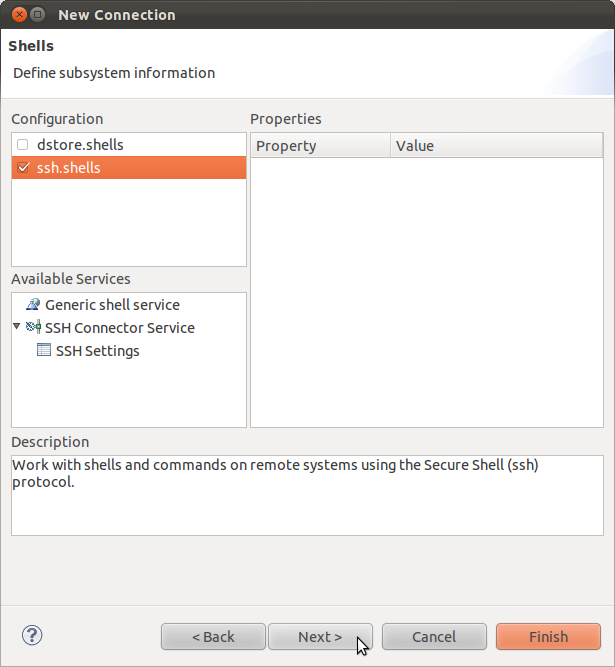 In the window that appears, double-click Remote System Explorer to expand it and select Connection. Click Next. At Host name, enter the IP address of the BeagleBoard (192.168.1.79 in the example). 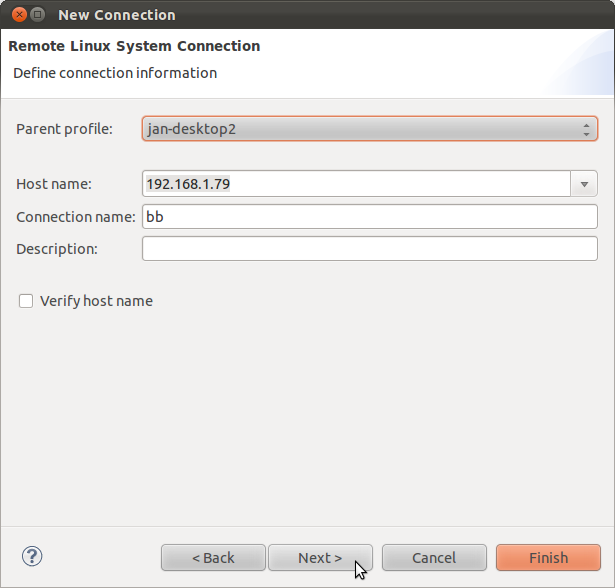 At Connection name, enter a name for the connection (bb in the example). Click Next. Under Configuration, select ssh.files. Click Finish. 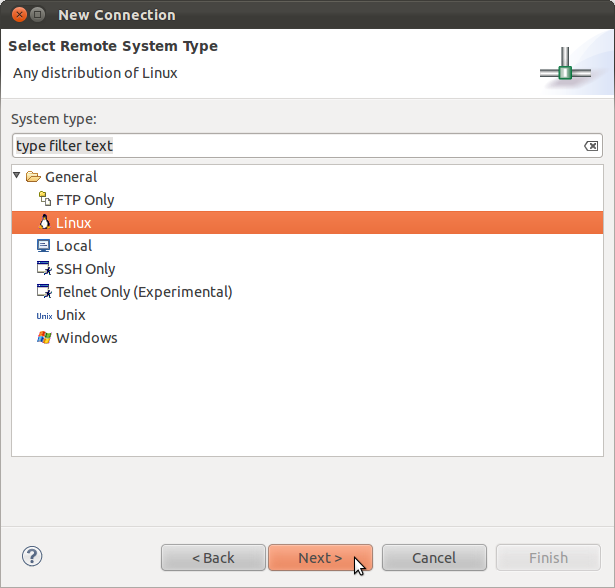 In the Remote Systems tab, right-click the connection and select Properties. 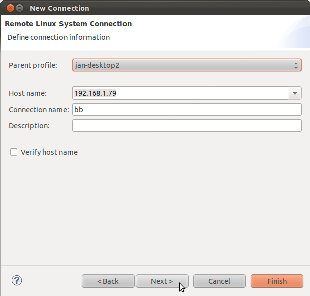 Optional: set the connection's user to root: click Host. 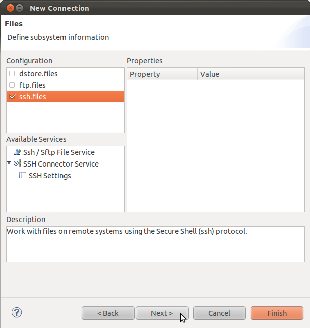 Click the small icon just to the right of Default User ID and enter root. 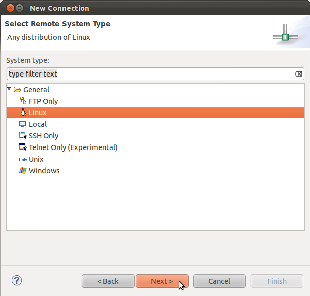 If you need to edit the connection later on, select Window -> Open Perspective -> Other -> Remote System Explorer. Under Remote Systems, right-click the connection name and click Properties. 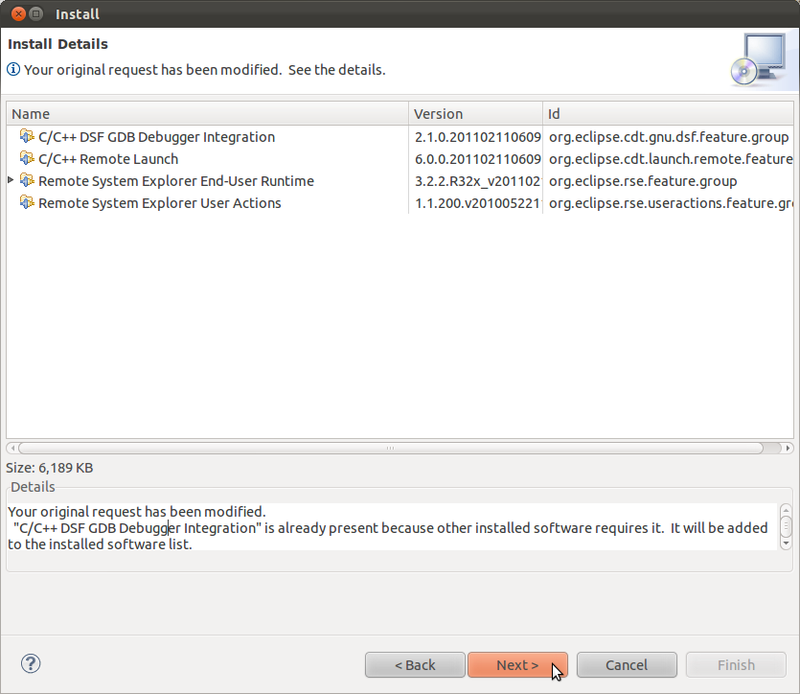 In Eclipse, select Run -> Debug Configurations. 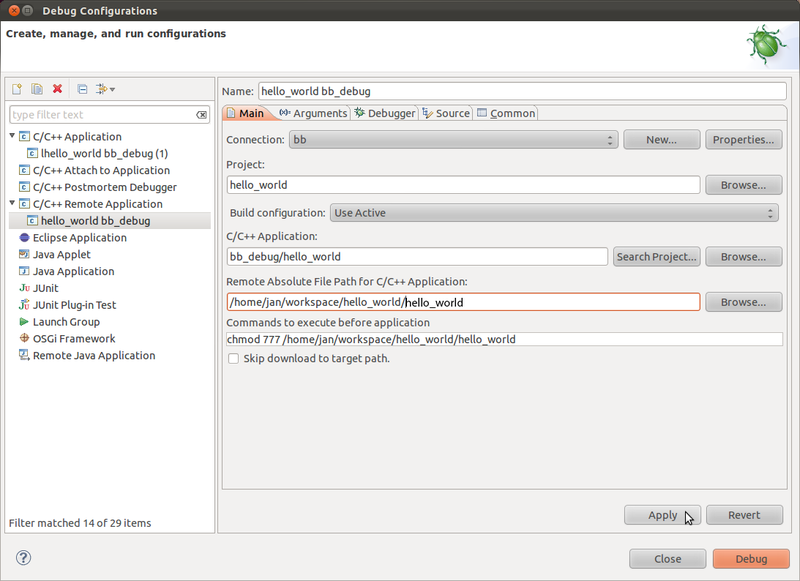 Under C/C++ Remote Application, select your launch configuration (hello_world bb_debug). In the Main tab, at Connection, select the connection you create above (bb in the example). At Project, select the hello_world project you created earlier. 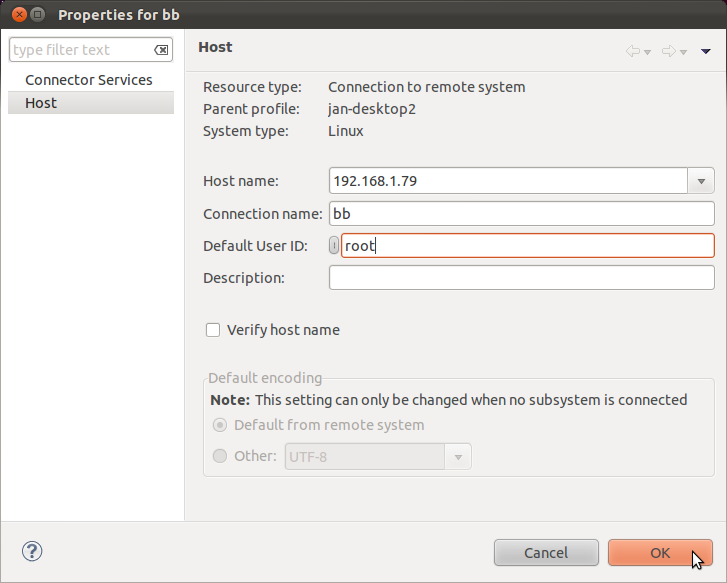 At Build Configuration, select Use Active, which should be set to the bb_debug Build Configuration you created earlier. 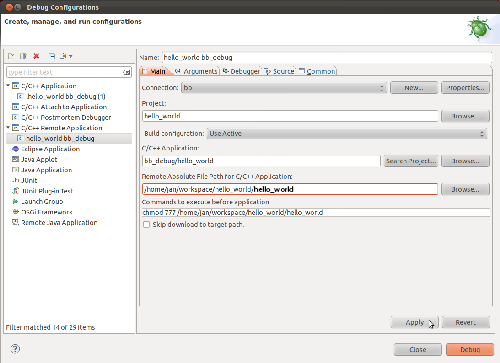 At C/C++ Application, browse to the hello_world executable file you created earlier. 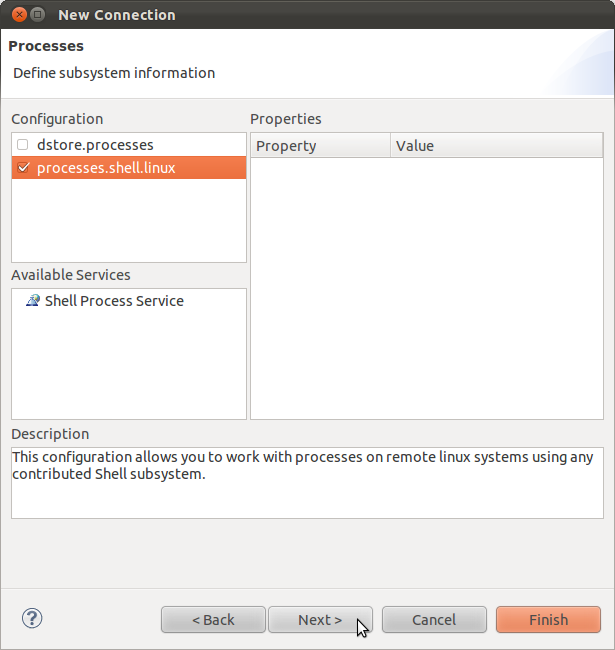 or the location of arm-angstrom-linux-gnueabi-gdb on your development PC if different. 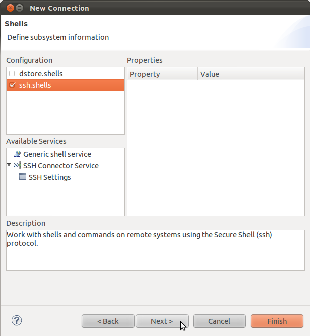 Note that the default settings select Stop on startup at: main, which means that when you run the debugger, it will stop at the first line in main. 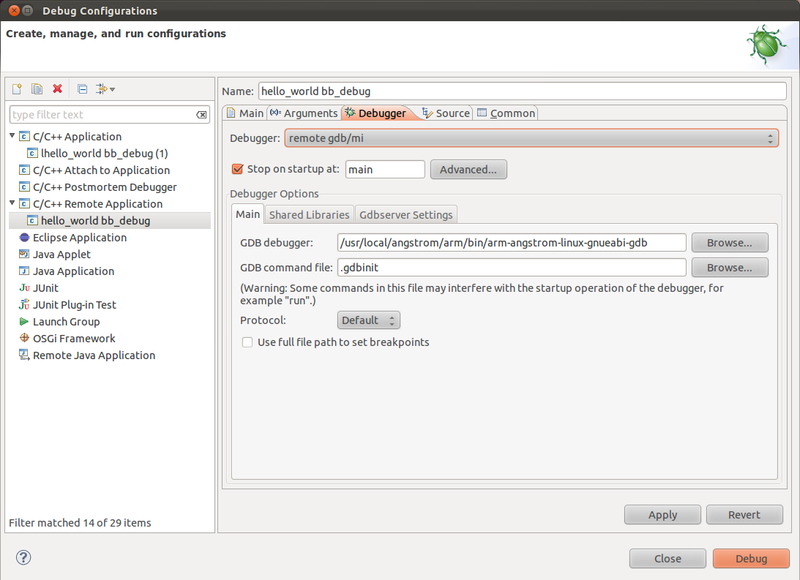 Under Debugger Options, select the Gdbserver Settings tab. 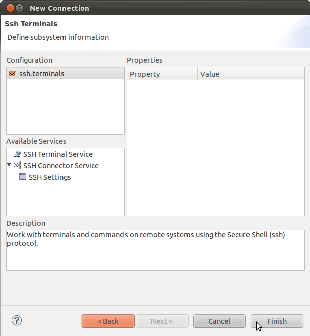 At Port number, enter a free TCP port (2345 in the example). If asked to Confirm Perspective Switch, click yes. 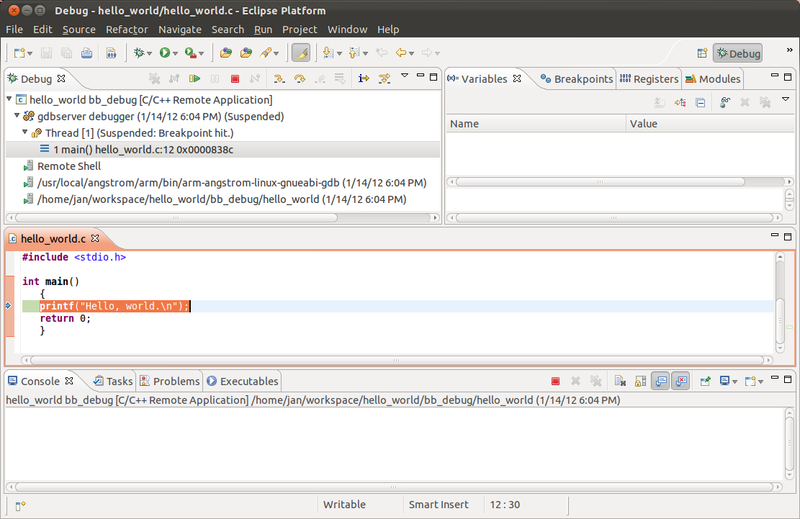 Eclipse should now upload hello_world to the BeagleBoard and begin remote debugging. With the default setting to Stop on startup at main, you should see the program stopped at the first program line. Press F6 on the development PC's keyboard and the program will advance one line. 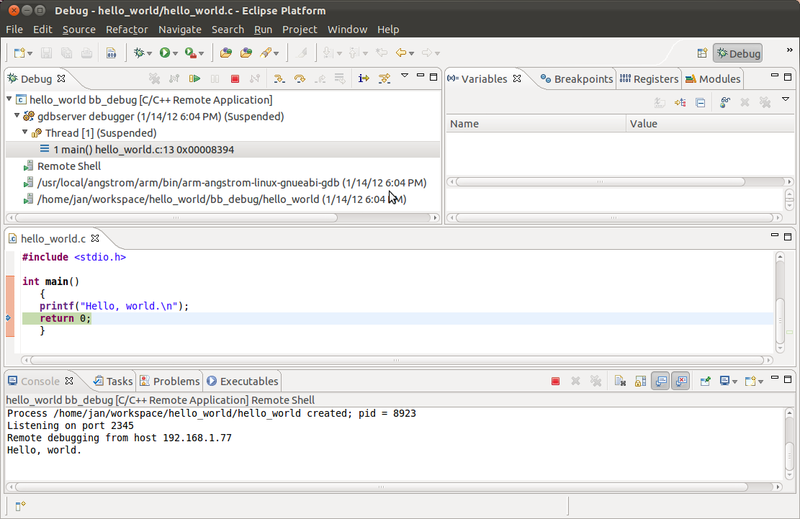 In Eclipse, click Run -> Resume to continue executing the program. See the Run menu for other debugging commands. To return to the previous C/C++ perspective, select Window -> Open Perspective -> C/C++. 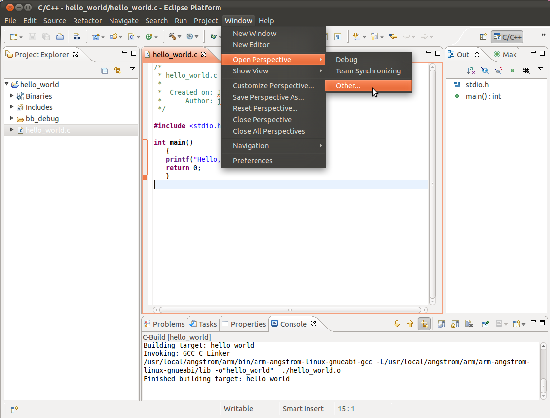 You can use the project, debug configuration, and connection you created as templates for other projects. 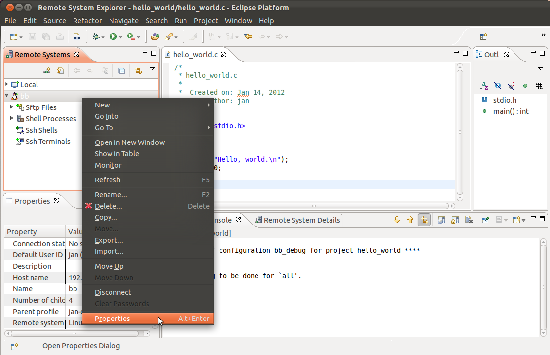 To create a new project, in Eclipse, right-click the project name (hello_world in the example) and click Copy. Right-click again and click Paste. In the Copy Project window that appears, enter a name for the new project. Edit the project's settings as needed. 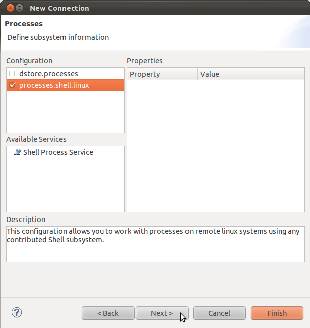 To create a new launch configuration, select Run -> Debug Configurations. 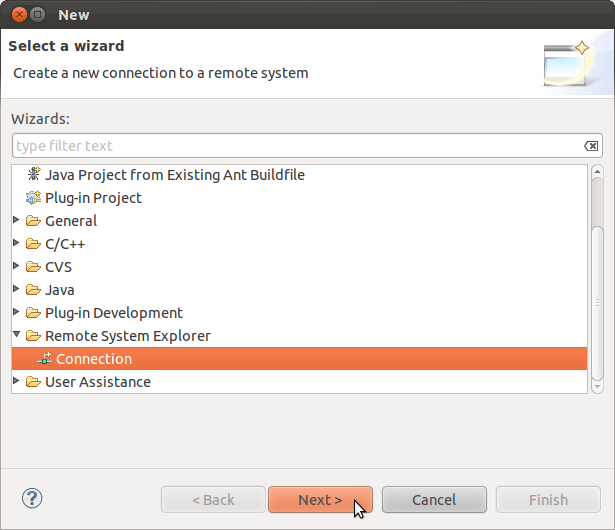 Under C/C++ Remote Application, right-click your existing launch configuration (hello_world bb_debug in the example) and select Duplicate. In the new launch configuration, edit the settings as needed for your new project. 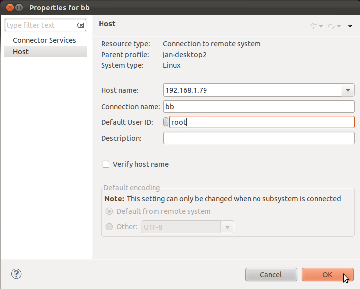 A new project that connects to the same remote system can use the same connection (bb in the example).